Did you know? 90% of people use multiple device screens sequentially. 85% of adults think that a company’s mobile website should be as good or better than their desktop website. Mobile users will surpass desktop users before the end of 2014 (Business Insider). 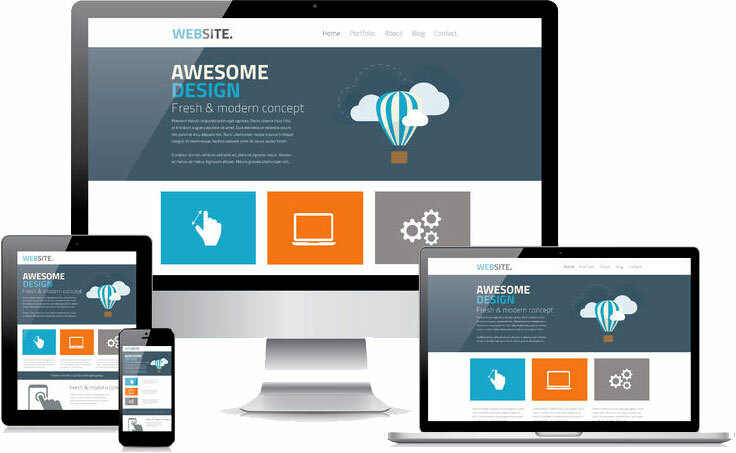 Responsive Website Design has become the new norm in today’s world. Many businesses don’t update their websites frequently enough – leaving quite a few websites outdated. A responsive website design that has the ability to resize the content depending on the device (desktop, tablet, or mobile) is instrumental in maintaining an up-to-date and professional appearance. Websites shouldn’t make assumptions about the type of display users have. They should look great all the time – whether viewed from a large desktop display or a smartphone. That’s what responsive design is all about; adjusting the website layout to fit any device. Some call it responsive design, others call it mobile-friendly design. Either way, it’s absolutely critical that you accommodate all of your visitors no matter what device they are using. Increase your conversions/sales on tablets-69% of tablet users have shopped via their tablet device in the last 30 days. Keep up with the growing market of various devices and smartphones – mobile traffic now accounts for a large amount web traffic. Increased loyalty-according to a survey by Google, 48% of users said that they felt like a company was not serious about their business if their site didn’t work well on their smartphone.